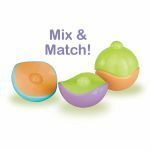 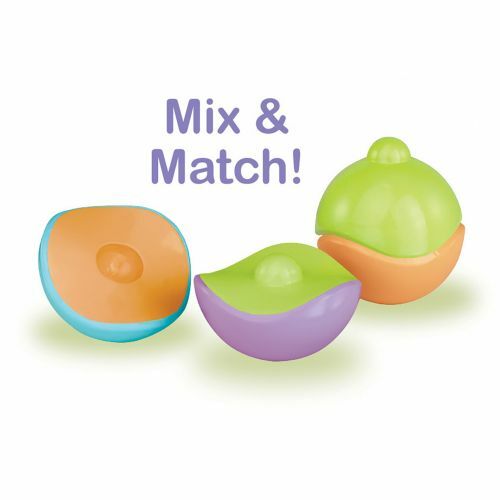 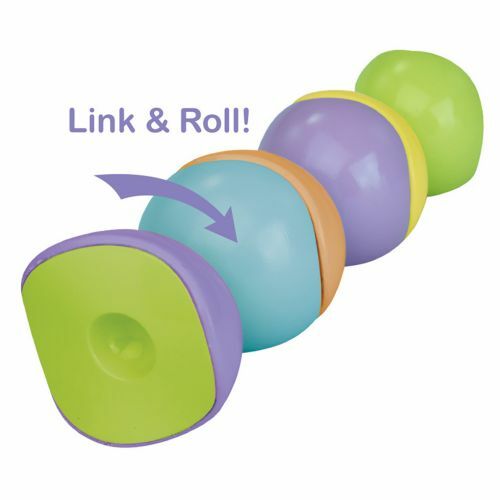 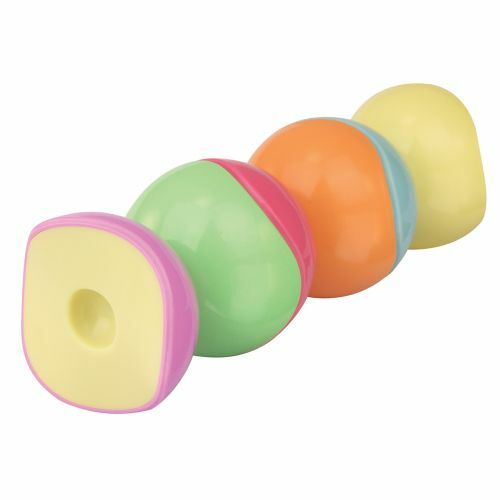 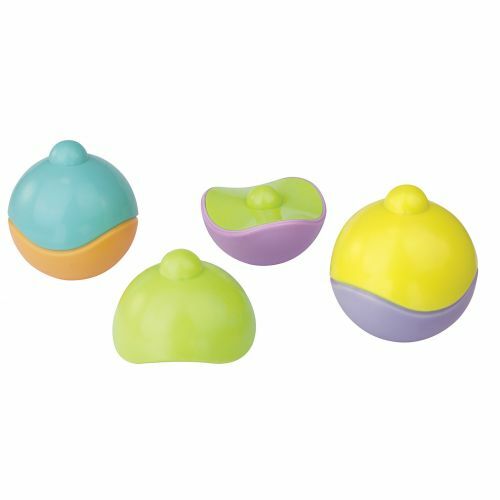 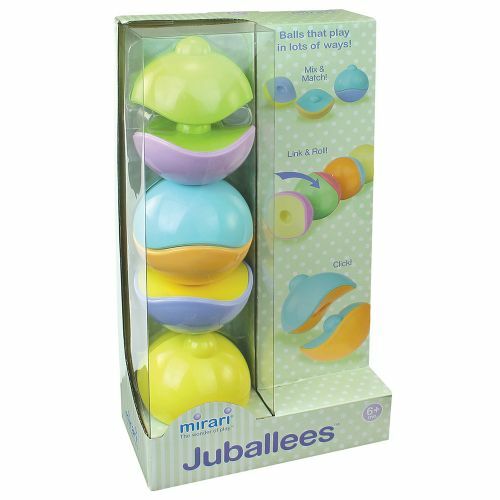 This colorful set of children's toy balls can be mixed, matched, clicked, stacked and rolled! 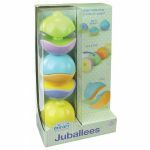 The facinating 6 ball halves (each 2.75" D) make fun sounds, too! 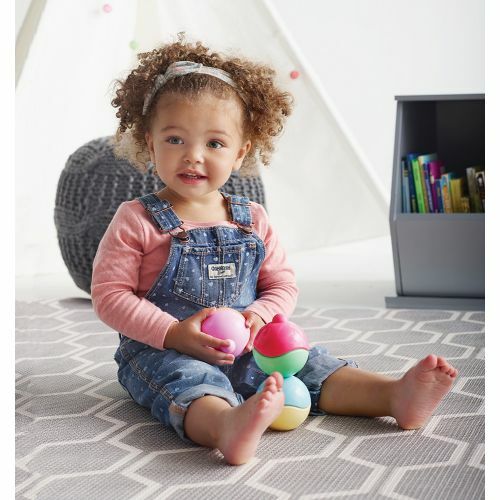 Ages 6+ months.